“Today begins a journey that will continue in the coming months for a different Europe, for a change of the European Commission, of European policies, which puts at the center the right to life, work, health, safety, all that the European elites, financed by [billionaire Hungarian philanthropist George] Soros and represented by Macron, deny….” — Matteo Salvini, Italian Deputy Prime Minister and Minister of the Interior. “Both President Macron and Mrs. Merkel have expressed frustration at the rise of populism and nationalism, and at Europe’s dithering in the face of problems such as climate change and mass migration….” — The Times. “The only certainty I have of the European elections is that the socialists and the communists will always be less in Brussels — they have already done enough damage….” — Matteo Salvini. Italian Interior Minister Matteo Salvini is leading an effort to create a pan-European populist alliance to challenge the pro-European establishment over the future of the European Union. The aim is to reclaim sovereignty from unelected bureaucrats in Brussels and transfer key EU powers back to national capitals. The showdown, which threatens to split the European Union down the middle between Eurosceptic nationalists and Europhile globalists, will heat up in coming weeks and months, ahead of elections for the European Parliament in late May 2019. Salvini is trying to create a new political bloc — dubbed the “alliance of sovereignists” (alleanza di sovranisti) — that incorporates nationalists and populists from across Europe to contest the upcoming elections for the European Parliament. The objective is to reassert national sovereignty by changing the political composition of the European Parliament, and by extension the EU’s executive, the European Commission, and eventually the European Council, where national leaders make the most important EU decisions. Members of the supranational European Parliament organize themselves into ideological groups as in national legislatures. There currently are eight political groups in the European Parliament. The largest is the center-right European People’s Party (of which German Chancellor Merkel’s Christian Democratic Union is a key pillar), followed by Progressive Alliance of Socialists and Democrats, the European Conservatives and Reformists Group, and the Alliance of Liberals and Democrats for Europe (ALDE). The recent decision by French President Emmanuel Macron’s political party, En Marche, to join ALDE could potentially make it the second largest bloc in the European Parliament, up from the fourth currently, after the May elections. In Poland, Salvini met with Prime Minister Mateusz Morawiecki, Interior Minister Joachim Brudziński and Jarosław Kaczyński, the powerful leader of the governing Law and Justice (PiS) party, which currently is part of the European Conservatives and Reformists (ECR) group. The ECR potentially faces collapse when its 18 British Conservative party Members of European Parliament (MEPs) depart after Brexit; this would leave the PiS without a grouping in the European Parliament. The PiS is unlikely to join the European People’s Party because Poland’s main opposition party, the Civic Platform, is part of that grouping. As a result, the new Salvini-led group could be an attractive option for the PiS. 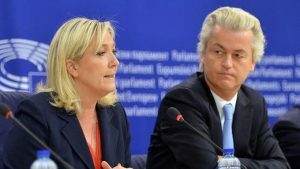 Salvini has already persuaded French and Dutch populist parties — Marine Le Pen’s National Rally (formerly known as National Front) and Geert Wilders’ Party for Freedom — to join. If PiS and Austria’s ruling Freedom Party were to come on board, Salvini’s eurosceptic alliance could have up to 150 MEPs. This would make it the third largest group in the European Parliament and give it tangible power to influence EU legislation. 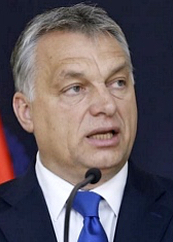 Orbán has, however, been unwilling to leave the European People’s Party. Some observers have postulated that he is inclined to stay with the EPP because, as the most powerful grouping in the European Parliament, it shields him from retribution from his pro-EU opponents. In any event, Salvini and Orbán have pledged to create an “anti-immigration axis” aimed at countering the pro-migration policies of the European Union. 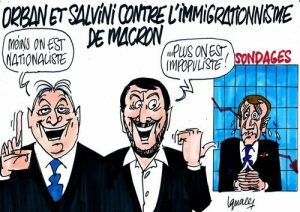 Meeting in Milan on August 28, Orbán and Salvini vowed to work together with Austria and the Visegrad Group — the Czech Republic, Hungary, Poland and Slovakia — to oppose a pro-migration group of EU countries led by French President Macron. by countries that want to protect their borders. Hungary and Italy belong to the latter. “Hungary has shown that we can stop migrants on land. Salvini has shown that migrants can be stopped at sea. We thank him for protecting Europe’s borders. “Migrants must be sent back to their countries. Brussels says we cannot do it. They also said it was impossible to stop migrants on land, but we did it. petri dish for the integration of the EU. “Both countries will lobby for Germany to receive a permanent seat on the United Nations security council, alongside France, the US, China, Russia and Britain, the victorious allies at the end of the Second World War. “France and Germany also intend to speak with one voice in Brussels, drawing up common positions before pivotal European Union summits in an effort to make the bloc a more decisive power on the world stage. The treaty is designed to signal that France and Germany will uphold the values of multilateralism at a time when the global liberal order is under threat. 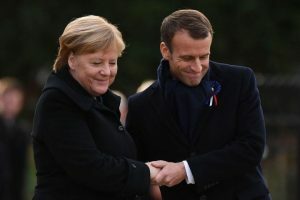 Both President Macron and Mrs. Merkel have expressed frustration at the rise of populism and nationalism, and at Europe’s dithering in the face of problems such as climate change and mass migration…. “The brief document will be signed on January 22 in Aachen, the ancient German spa city near the borders with Belgium and the Netherlands. It is meant to be ratified by the two national parliaments that same day. “The location is heavy with symbolism. Aachen, known as Aix-la-Chapelle in French, was the Frankish imperial capital under Charlemagne, and has passed back and forth between Germany and France several times. “Leaked extracts from the new Aachen treaty describe ‘harmonization’ of business regulations and co-ordination of economic policy between the states, guided by a joint council of experts. “The text bears the imprint of Mr. Macron’s desire to use Franco-German consensus to rally the EU into becoming more assertive as a global power. “Rome has already piled up a debt of almost 2.3 trillion euros. Wealthy Italians have long since transferred their assets abroad…. “When the EU rejects Italy’s draft budget, Interior Minister Salvini rumbles: ‘Nobody will take even one euro from this budget, from the pockets of the Italians.’ He apparently overlooks the fact that Italy would have long ago been insolvent without the help of the EU. How can you sell to the Europeans that in the future 400,000 to 500,000 Italians will be retired early, and also that there should also be a minimum income and a flat tax? These are benefits of a welfare state that other EU member states do not dare to dream of. 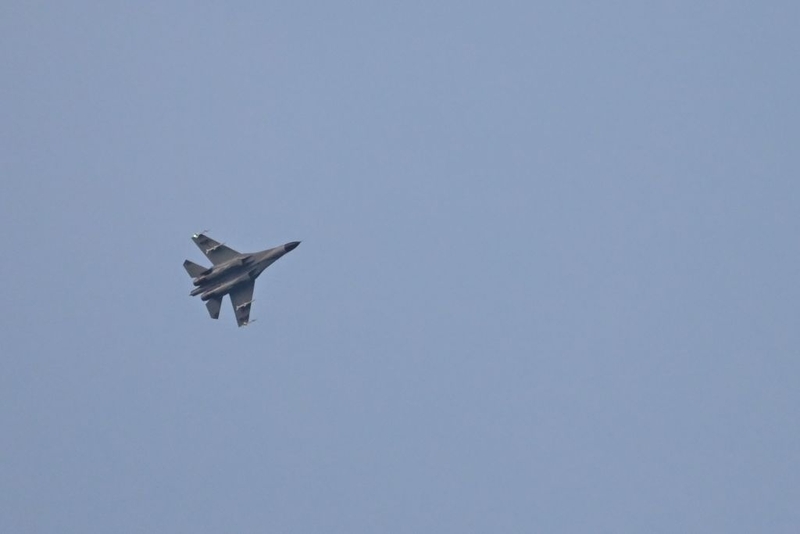 “I do not understand the budget proposal that #Italy submitted to #Brussels. We certainly will not pay for the #debts and populist election promises of others.